It’s been a month or two of changing things up. And somehow my house has benefitted from all the changes as well. Even though I’ve been writing more, scheduling more, playing more, reading still, and cleaning less. Somehow. Three books have really helped me make some notable changes. Spiritual Rhythm by Mark Buchanan was one that helped me realize I was coming into a season of spring. A season to plant new things, to hope, and till, and fertilize and eventually to wait. But now is a time for action. So I moved. And wrote. And put toys away in the garage. And prioritized. And realized that chasing down what was important to me would be my task and no one else was going to make time for it. And so I did. And I am still taking advantage of it, doing things with potential longterm gain that also bring more joy to those involved. And then a month and a half ago I inhaled Better Than Before by Gretchen Rubin. I loved her simple reminder To herself and life mantra of “Be Gretchen.” It goes right along with my realization that I need to be me. Be Erika. But I really appreciated the research and insight about habit building. Because, really, we all can take the little pieces of our lives and decide what we want to do better, but it can be so much more difficult to incorporate these goals and eventualy life attitudes into our routines in a productive way. And if you are looking to implement a few changes and have been stymied, this is the book to read. I found out that I am an Upholder with a strong side of Obliger depending on the situation. In other words I am very motivated to meet inward and outward expectations, but when those are in conflcit I tend to choose the people pleasing/serving route. However I am also in contact with and inspired by many questioners/rebels, so I am learning the art and benefits of questioning outer expectations. Today I took official quiz (take it!) which also said I am an upholder. Some of the habit changing ideas (Pillars of Habits) that I have found useful amd immediately helpful were monitoring, foundation, and scheduling. The idea behind monitoring is that if we track it we will be more able to change it. I knew I wasn’t moving enough (i.e: very quickly morphing into a pregnant couch potato) so that was the first thing to change. When I’m not pregnant I much more easily run more. I track of my running in miles and am therefore much more motivated to keep my miles up. But this pregancy I have been very much avoiding running (can we say heavy double stroller plus first trimester/i-have-two-toddlers exhaustion?). 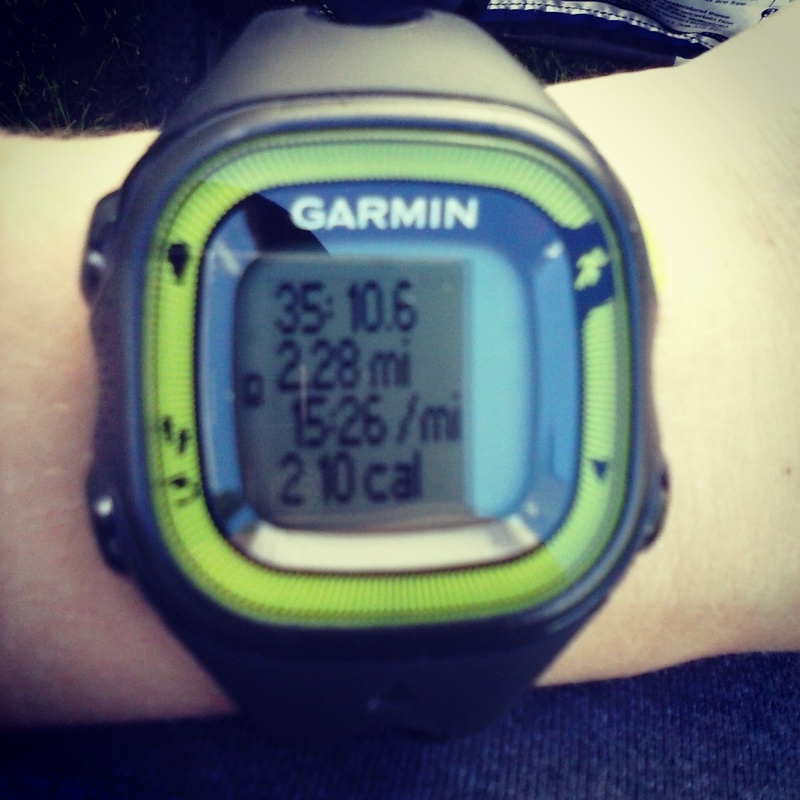 So I started researching step counters and then purchased a garmin 15 because I could use it to track my runs as well. It has been great. Kind of an expensive way to change a habit, but ultimately effective and worth it for me. The pillar of Foundation became obvious when, as a by product of moving more, I found I was able to keep up wtih housework more easily and was much more motivated to attack those projects that tend to linger on my to-do list. Primarily because I had more energy, but also because I was motivated to do them to get more steps in each day. Win-win. And probably worth the one-time purchase of the garmin. 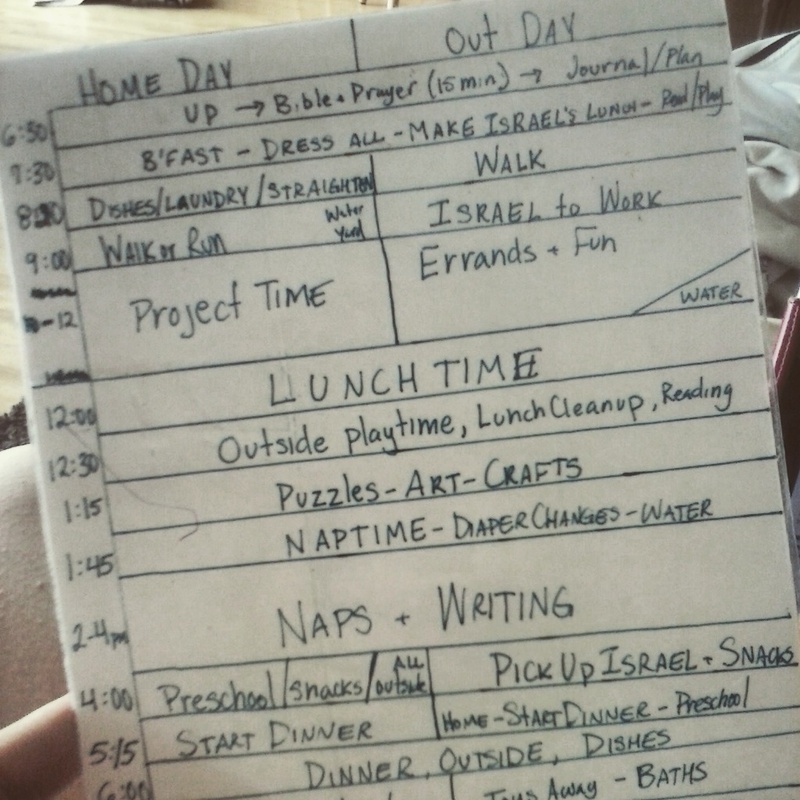 So I edited my daily schedule. I’m still working on getting into the habit of all the changes I made, but have been able to focus on minor improvements in each portion of the day: morning, afternoon, and evening rhythms that come more naturally with children than detailed schedules. 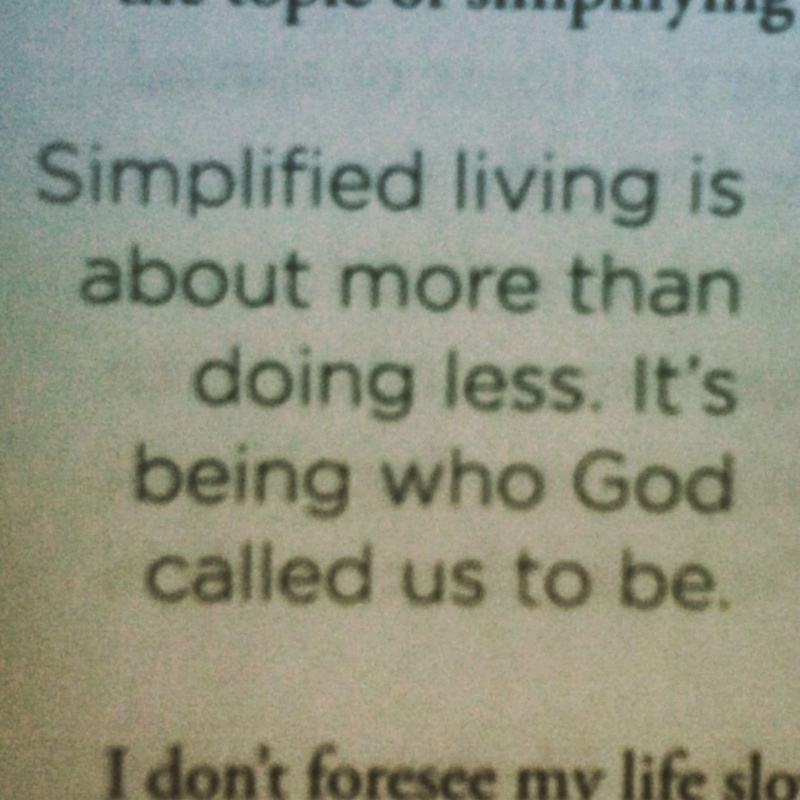 Things I added included watering the yard, brushing the kids teeth, more time playing with the kids, and reading the bible closer to daily. Rubin suggested pairing one activity with another that happens more easily. So I turn on my sprinklers before I walk back in the house from our morning walk/run/errands trip/whatever, brush the kids’ teeth and read stories after putting them in jammies, and read my bible with my breakfast. It seems simple but just having the knowledge about why the habit works encourages me to realize a pattern, and to then keep up the habit more consciously. Bigger and more important edits to my calendar were inspired Hybels’ book and then implemented with the knowledge of my upholder tendencies (meaning if it’s on the calendar I will do it) from Rubin’s book. I looked at our weekly schedule and then our summer schedule, talked to the husband, and wrote down our priority times. We booked our baby sitter for a weekly recurring date night, chose one night a week for me to get out alone (whether to work or play! ), and wrote five family camping trips on the calender. I am really excited about having these recurring and prescheduled things in place to help us prioritize each other and our family. And to force me to stay recharged with a little self-care or even just kid-free grocery trips. What do you think your habit tendency is? Did you take the quiz? What ways have you found useful to make posiitve change in your life? Linking up with Literary Musings Monday! So the official quiz says I’m an obliger, but I don’t really feel like the descriptions were detailed enough to accurately describe a person with just one. It really just depends on what expectations among how big a circle. And for me, whether people are pleased or not with what I do is irrelevant to most of my decisions. I consider how it will affect my kids and husband, but beyond that? I don’t have much interest in keeping everyone happy. I will please some and displease others, even with the same decisions, so, outside of stuff like traffic rules, I’m not making decisions based on the opinion of others. I’m not even being entirely rebellious when I say that, but without a job/boss or clients or communities I’ve committed to I just don’t have to answer to anyone but my husband and kids and obviously God. Oh wow! Yes, I pegged you as a questioner, actually. I think it’s hard to give good answers because we are so enmeshed in motherhood and wifeing goals which tend to consist of serving or a willingness to compromise our own expectations in favor making our people happy. I’m glad they piqued your interest!! :) thanks for stopping through!